Last month our world lost an inspiring and heroic man. 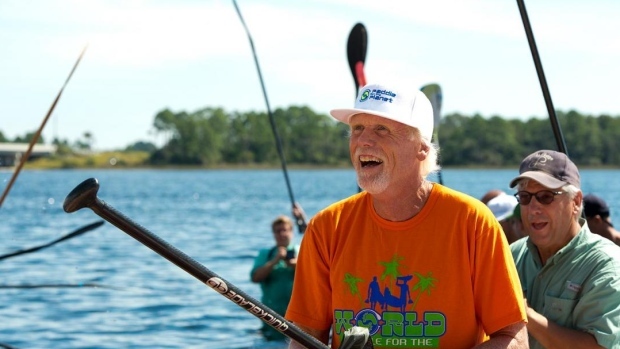 Bob Burdy, who founded World Paddle For The Planet Day and Paddle For The Planet, passed away in January at the age of 64 after a long fight with cancer. Purdy, who starred in the film "The Paddler", dedicated his life to raising awareness of the environment. His passion for saving the planet stemmed from his love for standup paddling. From 2011 to 2016, Purdy dedicated himself to paddle for two thousand days in a row; raising awareness for the environment and constantly striving for "changing the way we love on the planet". Purdy, who lived in Ucluelet, BC, Canada, with his wife Sharon, leaves behind a better world for his efforts and many mournful community members and activists inspired by his work. Sustainable Coastlines Hawaii is a movement whose sole purpose is to ensure the sustainability of our oceans coastlines.